Was Ray Bradbury's writing conservative or liberal? 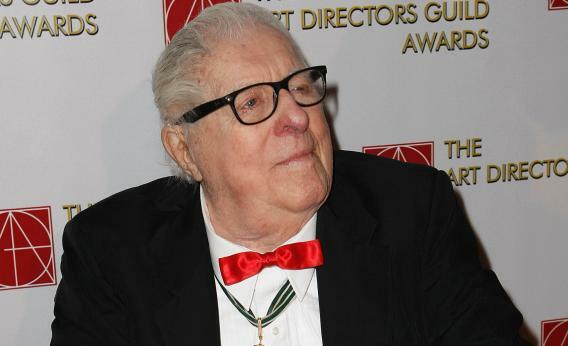 Author Ray Bradbury arrives at the 12th Annual Art Directors Guild Awards at the Beverly Hilton Hotel on February 16, 2008 in Beverly Hills, California. In the novel, people stopped reading before the state stopped them from reading. The predictable result was an ill-educated society fit for neither leisure nor the ballot. Women discuss voting for a candidate because of his handsome looks and abdicate the responsibilities of motherhood by dumping their children in front of television sets. The over-medicated, air-conditioned culture is awash in suicide, abortion, child neglect, and glassy-eyed passivity. Sound familiar? It’s probably worth noting that Bradbury himself was a staunch conservative in his final years. In fact, he would have made for a great Tea Party icon. Prior to the 2010 midterms he even used the inflammatory language of the Tea Party in calling for a new American revolution. “I hope that sometime this fall, we can destroy part of our government, and next year destroy even more of it,” Bradbury said in one of his final interviews with Time magazine. I’m sure that’s more than enough to make any progressive Bradbury fans out there feel slightly disillusioned in their hour of grief. So, for you, I offer this passage from Fahrenheit 451 in which the book-hating fire chief, Beatty, shares his view of politics and humanity. Feel free to read it as a tirade against anti-intellectualism. Or you can focus on the big government, tax stuff if you want.